Bob has enthusiastically and actively been pursuing a greater understanding of historical systems of fencing and Western martial arts for almost two decades. At first a keen sport-fencer, he largely gave up the modern game to concentrate on traditional swordplay after joining the fledgling Dawn Duellists Society in Edinburgh in 1994, while studying at the city’s Napier University. Bob founded the Hotspur School of Defence in 2003, which has since grown to comprise five chapters covering the North East of England and Scottish Borders. A further chapter is located in Olympia, Washington State, USA. Study focuses on a corpus of medieval weapons of the 15th century, including longsword, messer, dagger, pollaxe and spear. Bob has also conducted personal studies of Highland broadsword, greatsword, dussack, duelling shield, epee-de-combat, smallsword, duelling sabre, spada da lato, Italian cane and Italian bastone (great stick) over the last 19 years. Bob was a founding member of the British Federation for Historical Swordplay, serving as its Secretary from 1998 to 2004, and is today their president. He is also a BFHS IL1 Instructor. Daniel Faustmann is originally from Germany and has studied History, English and Latin at the Friedrich Schiller University in Jena and at the University of Rostock. At a certain point during his studies he decided to focus on the essential parts of daily life: food and fighting. Based on Medieval and Early Modern sources he taught these subjects at schools, adult education centres and at the respective universities. He worked as a student apprentice at the Museum of Cultural History in Rostock for about a year, where he was in charge of researching and cataloguing the militaria collection, which had been neglected for several decades due to the focus of the museum. A short chronological list of his most relevant work and projects follows below. 2012 Moved to England, thought about joining KdF, started a HEMA club down in Poole; Fechtschule in Poole2011 – 2012 Student apprentice at the Museum of Cultural History in Rostock cataloguing and researching the militaria collection. 2010 Started transcribing of Joachim Meyer’s treatise Ms. Var 82 – transcription done, currently writing description and classification . 2008 – 2012 Trainer for Historical European Martial Arts at the immural sports department of the University of Rostock – Training based mainly on Joachim Meyer with some influences from Fiore, Peter von Danzig and von Auerswald. 2005 – 2012 Taught supporting courses in History and Latin at the University of Rostock and courses in reading and writing ancient scripts at adult education centres and Latin and PE at a school. 2009 – 2011 Member of a German University Burschenschaft; learning Schlägerfechten. 2009 – 2010 Held workshops about medieval cooking at adult education centres. 2009 Participated in a Spring School on digital editions at the University of Cologne and lectured at a congress “Learning and Teaching in the Middle Ages” at the Christian Albrecht University in Kiel about fencing manuals from the 14th to the 16th century which culminated in an article “Eines für alle?” for the journal “Das Mittelalter“. 2004 Moved the focus from Re-enactment to HEMA. 2001 Started to train and get involved in Re-enactment. 2000 Started his studies in History, English and Latin. Also has some experience in Judo, Jiu-Jitsu, Sports Fencing and Academic Fencing. 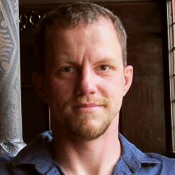 Daniel is a medievalist and assistant lecturer at the University of Geneva. 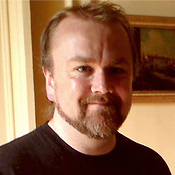 He achieved his degree with an edition of the Hugo Wittenwiller Fightbook (2005) and his PhD dissertation on armoured fighting single combats, late 14c. – early 16c. (2013). He is working towards a broad academic recognition of HEMA related studies, both for classical and interdisciplinary studies, including experimentation. Daniel was a founding member of the Swiss Federation for Historical European Martial Arts (founded 2012), serving as the current president. 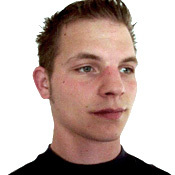 He is a HEMAC member since 2007 and head instructor for the group GaGschola (founded 2009). He has taught classes and given lectures at various international HEMAC gatherings (France, Sweden, England, Austria & Slovenia). Keith serves on the Scientific Review Committee for his department at his hospital. There he reviews research proposals for Scientific merit, content, and background and makes recommendations before the proposals are sent on to the Institutional Review Board for final approval. He has translated multiple German sources including large parts of Paulus Hector Mair‘s grand “Opus” and he did some of the first source translations in English put up on the ARMA website back in 2000. Keith is currently working on a book on Sir William Hope‘s Smallsword method. He has held classes at Fechtschule America in both 2010 & 2012 and at Longpoint in 2012 where he also served as a judge. 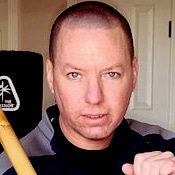 Keith is also a long-time practitioner of Wing Chun Kung Fu. Keith is a Lifetime Member of the HEMA Alliance and a member of the Cateran Society. He is also good friend of the Meyer Frei Fechter Guild since way back. Karin is a historian and philosopher of science whose main research focus is on the study of original source material concerning early modern natural philosophy and science, topics on which she published articles, edited volumes and organised international conferences. She joined SwArta, the Antwerp group founded by Alwin Goethals and Detlev Schops, where she continues to practice the three traditional disciplines of ringen, longsword and dagger intensively on a very solid physical basis. In the course of the years modules and workshops on dussack, messer and pole-axe completed this SwArta-based curriculum. Apart from that, inspired by a workshop by David Rawlings on Thibault’s fencing in january 2012, she started to work on a more regular basis with rapier as well, following the classes of Filip Bonte with the Hallebardiers in Bruges. She participates regularly in tournaments, and has taken up responsabilities as a tournament judge on several occasions. Finally, she is actively engaged in the founding and development of solid organisational structures for HEMA in Belgium and the Benelux. 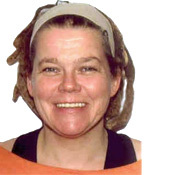 Moreover, Karin is an avid academic scholar who has thrown herself enthusiastically into the rich field of ongoing HEMA research. Together with Daniel Jaquet (Genève), she organised the first formal workshop on HEMA and its sources during a major medievalist’s conference, the International Medieval Congress, held in Leeds in 2012. As a consequence, the prestigious academic publisher Brill asked them to edit the first systematic compendium (in English) on the Fight Book literature with top quality contributions from specialists all over the world. The publication is expected by 2015. 1. A translation and edition of Thibault’s album amicorum, together with Alwin Goethals and Eugenio Garcia-Salmones. 3. A paper on the Dutch Renaissance scholar Rudolphus Agricola as a wrestling champion and fencing master — This latter paper is part of a bigger project concerning the cultural relevance of a variant of the “warrior-scholar”–ideal in Europe as much as in the East (bunbu ryodo), in any case during the Renaissance period. Last but not least, Karin hopes to find time in the near future to rework the bunch of extremely interesting material she collected over the past years on woman warriors in the European tradition, and put it down into a nice and accessible article or book that might have the potential to encourage and inspire ever more women to take the step into the so fascinating and rewarding world of contemporary HEMA.